A critical mass of recent surveys and studies document the fact that the public, and conventional health care providers and payers, have come to recognize that traditional medicine can’t answer all of consumers’ health care needs. 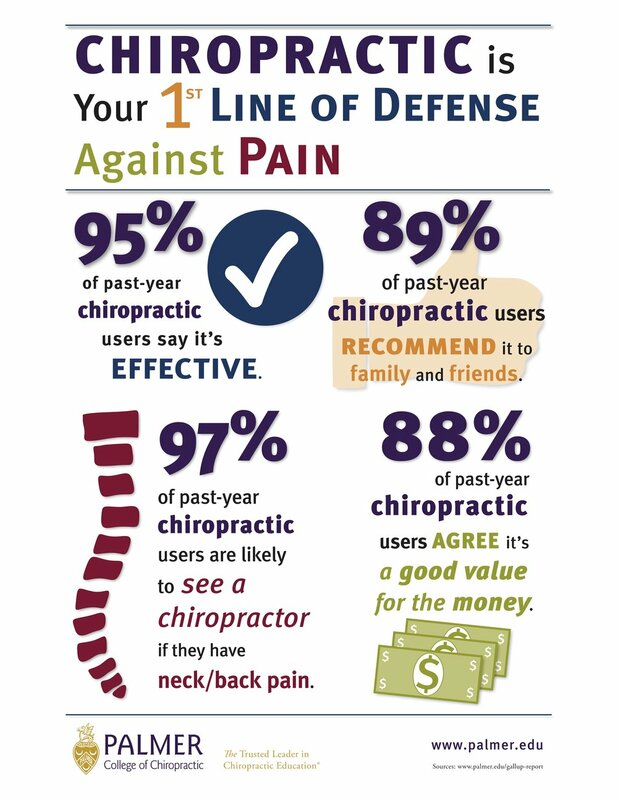 In particular, more people are turning to chiropractic services. A study published in the July 1, 1998 issue of the Annals of Internal Medicine shows that chiropractic treatment is appropriate for low-back pain in a considerable number of cases. This study by the Rand Corporation found that 46 percent of a sample of low-back pain patients received appropriate care from doctors of chiropractic – an appropriateness rating similar to that of common medical procedures. As the recent AHCPR report states, “In the areas of training, practice and research, chiropractic has emerged from the periphery of the health care system and is playing an increasingly important role in discussions of health care policy.” And, notes a March 1998 article in Business and Health magazine, “Many companies say chiropractic coverage has lowered their medical and workers’ comp costs, while raising overall health and productivity. ‘It’s one of the best benefits possible from a quality, quantity and pricing perspective,’ says George McGregor, president of [a firm that is a third-party administrator].” The article also cites an Oregon study, which found that median work time lost for employees with back injuries who used chiropractic care was only 9 days as compared with 34.5 days for workers who used medical care. Quick relief of symptoms and sustained effectiveness have long attracted consumers to chiropractic care. In fact, in just one year more than 20 million adults used chiropractic services. The 1994 AHCPR guidelines for low-back pain concluded that spinal manipulation, chiropractic’s primary treatment technique, is one of only three treatments whose effectiveness is substantiated by rigorous research. According to a 1992 RAND Corp. study, patients see a chiropractor primarily for low back pain and neck pain, though many seek chiropractic care for mid-back pain, extremity problems, headaches and other symptoms as well. Successful outcomes in both effectiveness and patient satisfaction, have paved the way for chiropractors to enter the mainstream of health care services. Some have even begun to collaborate with medical doctors in integrated health care practices. As reported in the May/June 1998 issue of Health magazine, the prestigious Texas Back Institute (TBI) at one time included only surgeons and other M.D.s. Then, about ten years ago, when TBI’s medical doctors discovered chiropractic’s success with lower back pain, they hired their first chiropractor. Now, according to one administrator quoted in the article, about 50 percent of the Institute’s patients see a chiropractor first when beginning their treatment. Also, the Washington Post recently reported on the success of the 5-year-old company, American Whole Health, whose clinics incorporate a consumer-driven mix of traditional medical and alternative health care including chiropractic. Due to years of criticism — and even an illegal boycott by the American Medical Association — chiropractic training was sometimes called into question. However, the fact remains, chiropractors must complete a minimum of 6 and, on average, 7 years of college and post-graduate study to earn their degrees. Their education includes at least 4,200 hours of classroom, laboratory and clinical experience, and as much — and sometimes more than — course work in anatomy and physiology as most medical doctors. After they receive their degrees from one of the nation’s 17 accredited chiropractic colleges, they have to pass rigorous exams and be licensed by the state before they can open a practice. The practice of chiropractic is licensed in all 50 states, and in 1994 there were approximately 50,000 chiropractors licensed in the United States. This number is expected to double by the year 2010, according to the 1997 AHCPR report. “These recent surveys and reports finally vindicate the chiropractic profession after years of enduring doubt, questions and criticism about our training and practices,” said Dr. Pedigo. “What the health care and medical communities are just beginning to accept is what our patients have known all along — that our treatment is safe, effective and highly successful at improving their quality of life. Further validation of chiropractic care evolved from an antitrust suit which was filed by four members of the chiropractic profession against the American Medical Association (AMA) and a number of other health care organizations in the U.S. (Wilk et al v. AMA et al, 1990). Following 11 years of litigation, a federal appellate court judge upheld a ruling by U.S. District Court Judge Susan Getzendanner that the AMA had engaged in a “lengthy, systematic, successful and unlawful boycott” designed to restrict cooperation between MDs and chiropractors in order to eliminate the profession of chiropractic as a competitor in the U.S. health care system. A workers’ compensation study conducted in Utah by Kelly B. Jarvis, D.C., Reed B. Phillips, D.C., Ph.D., and Elliot K. Morris, JD, MBA, compared the cost of chiropractic care to the costs of medical care for conditions with identical diagnostic codes. Results were reported in the August 1991 Journal of Occupational Medicine. Published in the December 2010 edition of The Spine Journal, the study found that after 16 weeks of care, patients referred to medical doctors saw almost no improvement in their disability scores, were likely to still be taking pain drugs and saw no benefit with added physical therapy – and yet were unlikely to be referred to a doctor of chiropractic. The study is “the first reported randomized controlled trial comparing full CPG [clinical practice guidelines]-based treatment, including spinal manipulative therapy administered by chiropractors, to family physician-directed UC [usual care] in the treatment of patients with AM-LBP (acute mechanical low back pain).” (Evidence-based clinical practice guidelines have been established for acute mechanical low back pain in many countries around the world, but sadly, most primary care medical doctors don’t follow these guidelines.) Researchers found that “treatment including CSMT [chiropractic spinal manipulative therapy] is associated with significantly greater improvement in condition-specific functioning” than usual care provided by a family physician.